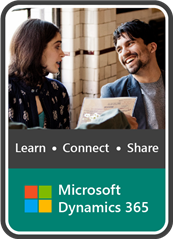 The Data Management Framework of Dynamics 365 For Finance and Operations – Enterprise Edition provides advanced data management capabilities, which makes the overall data export and import really seamless easy, for both standard Dynamics 365 data entities, as well as any custom entities that you might have developed for your business requirements. This framework provides an easy to use front end interface for data export and import management, so that regular pro-users of Dynamics 365 can interact with it, without requiring advanced knowledge of development and database. In this post today, let us discuss about one of the features of this Data Management framework called the “Data Templates“, which will help you accelerate the data configuration and export/import management in your Dynamics 365 Implementation. So, what are these data configuration templates ? One of the things you would have always done in every D365FO (Dynamics AX earlier) implementation, is probably use an excel spreadsheet to keep track of setup and master data configuration checklist and their sequence of import. While this works, it also requires extensive manual tracking, supervision and may lead to lot of human errors and mistakes. Data configuration templates in D365FO are basically a predefined list of data entities for each module area, which are sequenced , so the data import will be processed in correct order automatically. This reduces human error in the data import sequence, save a huge amount of time in data import/export. The templates are sequenced using Units, levels and sequence numbers and predefined dependencies between data entities. For example, before you import/upload your customer master data, you need to make sure all the number sequences formats, customer groups, payment terms etc. are imported prior to that. The data configuration templates addresses this and takes care of sequencing. Let us now understand what is underneath these data templates and how these are managed in D365FO. Microsoft started releasing these predefined data templates with the July 2017 update and these are right now made available directly within D365FO. From home page of D365FO, Navigate to System Administration > Data Management Workspace > Click Templates tile and click the Load default templates button. This will load all the default templates which are made available by Microsoft. Note: In future, these will be made available in the shared asset library of LCS(Lifecycle Services), just like other assets such as the Power BI report models, Software deployable packages etc. You can use these out of the box templates, modify them to meet your business requirement, or you can even create your own templates and define the entities under it. For example you might have customized D365FO to meet your business needs and you might have created various custom data entities for this. So you can create your own templates and include those entities. How are these entities sequences within a data template for processing? The “Execution unit”, “Level in execution unit” and “Sequence” fields under the Entities tab of the templates defines how the entities are sequences for processing. Execution Unit: Entities that have different units are processed in parallel. Level in execution unit: Entities that have the same level within an unit are processed in parallel. Sequence number: With the same level, entities are processed according to their sequence numbers. Note: At some point in future, Microsoft will make it possible for the sequencing to happen automatically when you add entities to a template and will they will try to provide templates for every standard D365FO configuration and setup. The Module, category and Tags represent the entity category or classification for better understanding. Module represents the actual module name of D365 to which the entity belongs, Entity category shows if the entity is related to setup data, reference data or master data and the tags shows additional information tags. There are other miscellaneous features on this templates so that you can export and import templates, Open the list of entities within a data template in Excel to make changes to Units, levels, sequences, module, tag etc., or you can even create the templates from a data project. Now, let us see how we can use these data templates (Predefined or custom created) in an actual Data project for export or import. Navigate to System Administration > Data Management > Click Import tile. Enter a name for the project and click Save. Now click “Apply Template” button. You will see all your data templates that you can select and add them to the data project. You can add more than one data template. Let us say I want to use the GL-Shared data template to load all the data for the GL shared area. I can select that and select preferred source type (EXCEL, CSV etc.) and click OK button. Notice here that all the data entities that were part of the General Ledger-Shared data template are automatically loaded and all the level and sequencing of these entities is also inherited from the template setup. 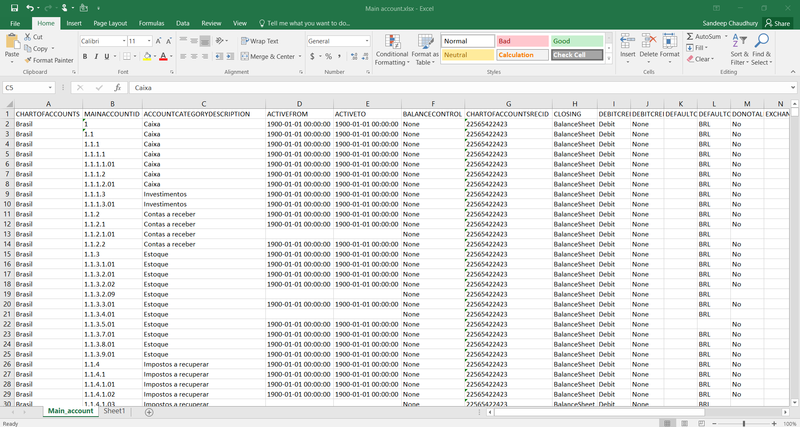 Now, you can just upload the excel/source data files for all these entities and schedule the data project to run. It will run and automatically process the entities in the correct sequence as per the definition in the template. This is certainly a huge time saver and you don’t have to select individual entities and import them one by one remembering their sequence. Similarly, you can use the templates for exporting too, so that system will automatically provide all the source files for each module, depending on the data template you selected in the project. As an example, I have exported the same GL Shared template in a data project and it exported all my relevant data entities with more than 500 records within few seconds. 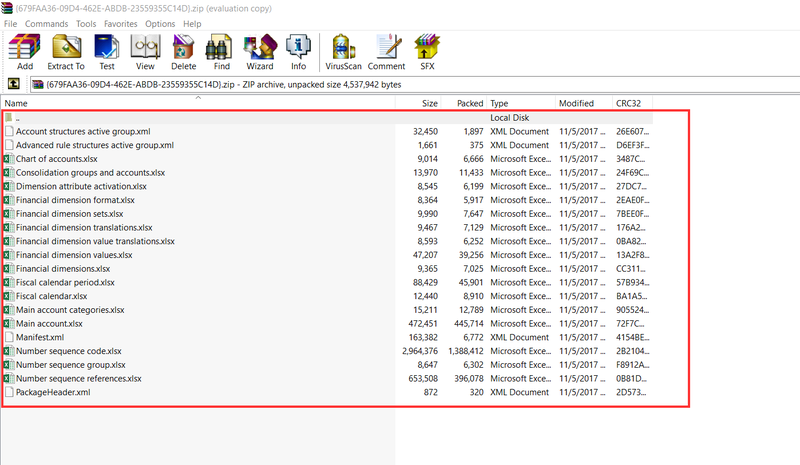 I can now download these packages and see the data on the files. See screenshot below. I find this feature very useful and this will help save significant time in data export/import and will also enable users who are not experts of the system to seamlessly export and import data for all required modules by leveraging these templates. This is also a great step towards standardizing data configs as much as possible, so that customers don’t have to reinvent the wheel in every implementation. That’s it for this post. Stay tuned ! !